When numerous fans streamed through the entrance of Alliance Francaise and braced the slight downpour on the night of Saturday April 19, 2014, they expected to leave with a worthy memory and a thrilling experience. At the end of about four hours of amazing performances from over a dozen hip-hop artistes, each one of the concert attendees left with fulfilled expectations. The B.A.R Concert featuring the poster boy of BBnZ Live, EL, not only sold a great concert but gave a clear indication that they meant business. 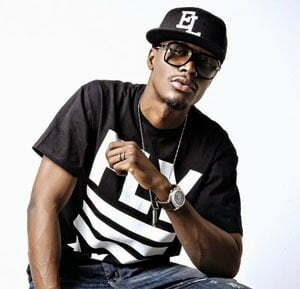 The B.A.R Concert was organized at the back of EL’s mix tape, ‘B.A.R’ (Best African Rapper) to celebrate the album and promote hip-hop in Ghana. The stage set was nicely done with a giant screen behind the artistes and drum set. It was to provide a slide show of some of the artistes who came on the stage. The stage also featured two DJs set for the two turntable jockeys to play on. DJ Mic Smith and DJ Julz (both resident DJs of BBnZ) dished out some real good hip-hop sounds of the early 90s through to today’s hits. This set the fans in the groove and also ensured there were no boring intermissions. The set design coupled with the lighting system and other aesthetics could not be faulted. The show was opened by Temples, Chimney Crime before the Afro Harmony band came on. One amazing thing was the peaking order of energy the performances took. And by the time Cabum was done with his performance, the whole place was buzzing high. The audience went into frenzy when EL came on stage. Performing songs from the ‘B.A.R’ mixtape, the audience could not help but rap along. Other artistes who shared the stage included Lil Shaker, Gemini, Kojo Cue (BBnZ acts), Trigmatic, XO Senavoe, C-Real, Joey B, Rumour, Dex Kwesi (who called out Wanlov), Scientific, Dee Money, Bebelino among other acts. The night was replete with highlights including Shaolin Monk Funk’s (SMF) appearance. SMF are one of the earliest hip-hop groups in Ghana and seeing them on stage in their early 90s hip-hop gear was nostalgic. Also, how the likes of Jayso and J-Town were introduced carried such finesse. Jayso, J-Town and EL were part of the Skillions, a group of young rappers credited with helping shape the then infant hip-hop genre in Ghana to where it is currently. The three are the ‘active’ members of the now defunct rap group. While Jayso performed his new track ‘Make Tasha Proud’ with one of the sensational voices on the scene now A.I, J-Town brought the real hip-hop flavour on stage doing songs from his ‘Feel My Wrath’ album. Though the night was to celebrate EL, reigning rap king Sarkodie nearly stole the spotlight. His performance brought two things into focus. First, Sarkodie knows how to rock crowd with his performances. Secondly, the crowd or fans love him to bits. It was incredible seeing Ghanaians opening up and embracing their own musicians. One other artiste who surprised fans was Stargo; a very diminutive man with incredible lyrical prowess. One impressive exhibition was that most of the artistes such as EL, Trigmatic, XO Senavoe, JaySo, Rumour and Joey B performed with live band. Others performed with dubbed CD (which had a chorus and bit of actual songs on). This was a shift from the miming many have complained about, an indication that hip-hop could be performed with a live band. The crowd was supportive throughout the show. They sang and rapped, danced, cheered, mobbed and applauded the various artistes on stage. Having pushed towards the stage, they added the extra verve, a ton of energy which complimented the stage performances of artistes. The crowd at the BAR Concert was not the usual ‘let-me-sit-and-watch- their-performances’ kind. Those at the BAR concert were mostly the youth, bubbling with energy, all partying and all jamming. They also showed massive love to the likes of Stargo, Trigmatic, XO, SMF among others. Despite the success of the event, there were low points. The sound and the mic disappointed at times. Also, the band which played muffled the voice of some of the performers. And there was the MC, who was ridiculously fake and a joke. Whoever hired him did a great disservice to the show. The BAR Concert will remain one of the best organized shows this year. If there is one forceful point the BAR Concert made it was that hip-hop in Ghana is finally earning the bright halo it has been waiting for all this while. As EL revealed, there would be another show in December. If BBnZ succeeds in pulling off that one too, then one could confidently say they are in for business within the circles of event organizing.